The pairing of strawberries and rhubarb is a classic combination. It's right about now that farmer's markets begin to offer the season's freshest fruits & vegetables, and I'm always on the lookout for the most delectable. When rhubarb is only hours out of the ground and the strawberries are bright, juicy & infinitely edible, it's time to start baking. Strawberry rhubarb pie has become one of my signature desserts of the season and I can't imagine a year going by without baking one for my family and friends. I think that after one bite of this delicious pie, you might just make it one of your family's must-haves every spring. Rinse your rhubarb & remove the green leaf tips (they contain oxalic acid which is highly toxic). Slice the stalks into 1/2" slices. Hull your strawberries after they've been rinsed and either slice in half or quarter them depending on the size. Place your fruit in a large mixing bowl and sift the sugar, tapioca starch & cinnamon. Strain the juice of half a lemon. Give everything a thorough toss & let it sit for 10-15 minutes. On a well floured surface, roll out one disk of your pie crust. With a pastry brush, wipe off any excess flour. Gently wrap the dough around your rolling pin and transfer it to your 9" pie dish. The dough should be cool & pliable. You don't want it too cold or it will crack. leave a 1/2" to 1" overhang. Add the fruit mixture and all of the accumulated juices. Roll out your top crust & place it over the pie. Seal the top and bottom crusts by either tucking under or rolling over the seam. You want to have a "rope" of dough around the rim of your dish. fingers on one side and pushing with my knuckle on the other side. Mix the egg yolk & tablespoon of milk. Apply this mixture with a pastry brush all over the crust. This will give you a nice browned & shiny top. You will not use the entire egg wash, so don't let any pool around the crimps of your edge. Immediately chill the pie in the freezer for 30 minutes. Remove your pie from the freezer & with a cookie cutter of your choice, cut out a vent hole in the middle. baking sheet lined with a silpat or parchment. This will catch any drips and prevent a mess in your oven. need to add several more minutes (this will depend on how often your oven cycles on & off). If you find your crust getting too dark, tent it with a piece of foil. The pie is done & it is perfect. The aroma is so enticing that you're going to want to slice right into it. DO NOT. The pie needs to cool completely before you can serve it or else you may have a lava flow of strawberry rhubarb. A generous wedge served on a jadeite plate. 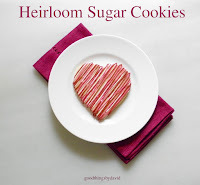 You can, of course, serve this with a dollop of sweetened whipped cream or a scoop of your favorite vanilla ice cream. As you can see, a good pie doesn't have to have a lot of ingredients. What's of the utmost importance is that you use the absolute best fruit available to you. Watery and bland fruit will make a very poor pie no matter what you do to it. Choose wisely and you can be guaranteed a delicious and pretty spectacular pie. Don't let a homemade pie crust prevent you from trying this recipe. If you only feel comfortable using a storebought crust﻿, go right ahead and use it. I won't tell. This strawberry rhubarb pie is the type you're going to want to bake for your next family gathering or lazy weekend afternoon. From my home to yours, I do hope you enjoy it. Cheers! love all the photography on your blog! 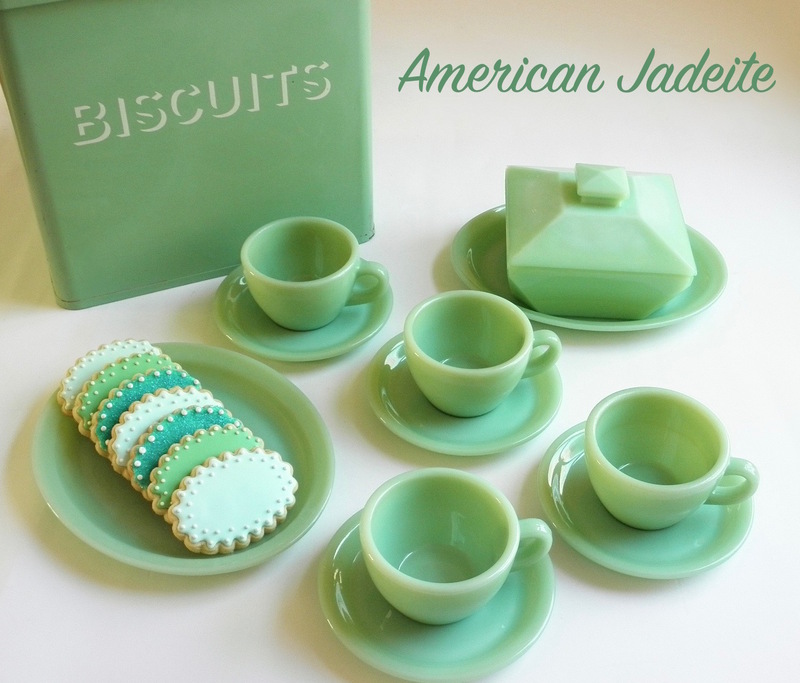 and that jadeite restaurant ware! Swoon! Thank you very much Christian, I really appreciate the feedback! 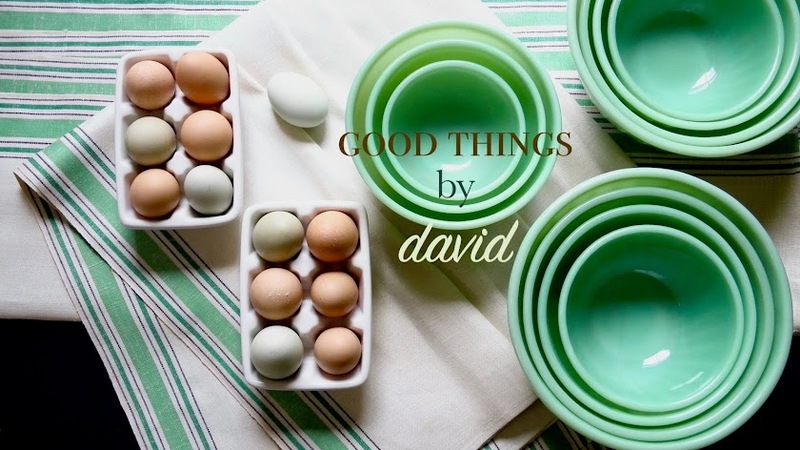 Yes, those restaurant ware jadeite plates (you're obviously a collector) get used a lot and the pie looks so good on them. Merci!